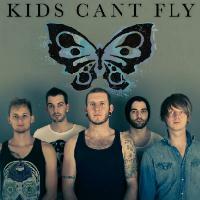 Pop-punk outfit Kids Can't Fly have announced that their new 'Northern Horizons' EP on June 25th. Kids Can't Fly may be a newish name on the UK scene, but they have wasted little time in steamrollering themselves into an enviable position. The sextet (each of whom is 6 foot plus!) play a unique brand of uplifting hard edged pop-punk with a distinct English twist and, of all things, a horn section. Jumping, thrashing, and sweating their way through live shows across the UK and Europe they have carved a name for themselves as one of the best known and most energetic unsigned UK Pop-Punk bands on the circuit. Famed for frenzied beat downs, feel good horn lines, and huge harmonies the guys have been likened to an 'English Fall Out Boy' and 'Four Year Strong with horns' - and the latest release from their aural cannon is the 'Northern Horizons' EP on June 25th. Lead Single 'Stick To Your Guns' is a prime slab of danceable crunch. Bouncing along on a colossal melody and insanely catchy chorus it is a supremely confident first step. 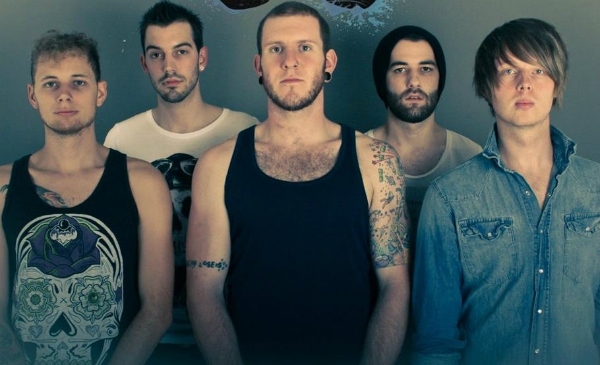 In their short existence (the band turned 'serious' in early 2011), Kids Can't Fly have achieved high profile shows with the likes of The Blackout, Young Guns, Zebrahead and Less than Jake in the UK and Europe, as well as having festival appearances at Make A Scene and Takedown. Indeed, the band's growing profile and status is clearly reflected in their growing list of endorsements. Not many young UK acts can boast backing from the likes of Marshall Amps, Orange Amps, Shine Drums, Ernie Ball, Jim Dunlop, Audix, Big Deal & Paint The Stars Clothing and custom horns from John Packer Ltd! Their previous EP, with the successful single 'She called Shotgun' topped the Scuzz TV's 'Most Requested Chart' for 3 weeks running, as well as being exclusively premiered on Kerrang TV. The 'Northern Horizons' EP looks set to further enhance the sextet's reputation. Recorded at the legendary Monnow Valley (Black Sabbath, Led Zeppelin, Biffy Clyro) and produced by Welsh rock producer Romesh Dodangoda (Kids In Glass Houses, The Blackout, Funeral for a Friend), it has a crystal clear sound just begging to be pumped out from your car stereo with the windows wound down. Ska-edged pop punksters Kids Can’t Fly have now officially released their brand new 'Northern Horizons' EP following from their epic set at the Make a Scene Festival over the weekend. Pop-punk outfit Kids Can’t Fly have unveiled the brand new music video for their new track ‘Stick to your Guns’ – you can check it out below.